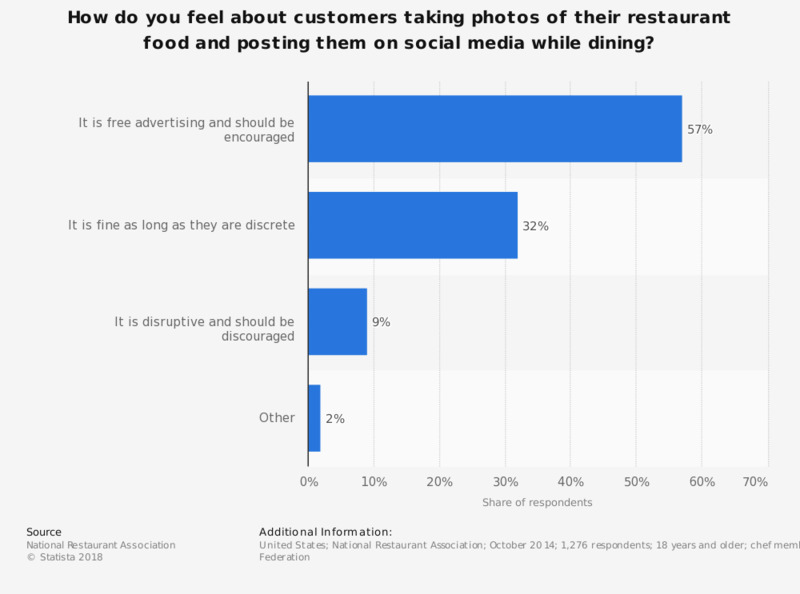 This statistic shows how chefs feel about customers taking photos of their restaurant food and posting them on social media while dining in the United States as of October 2014. During the survey, 32 percent of respondents said that this was fine as long as they were discrete. Figures may not add to 100 percent due to rounding.